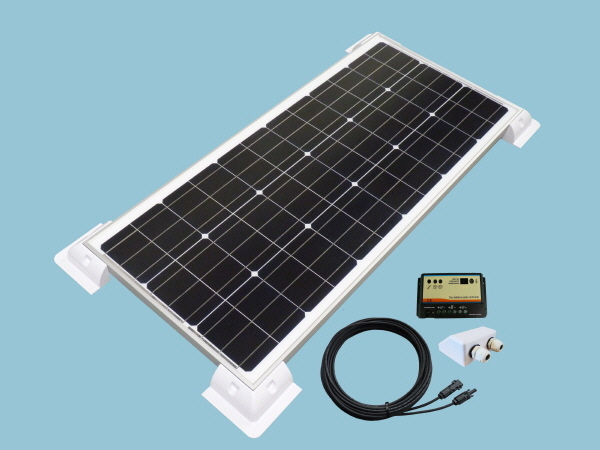 This 100W Sunshine Solar Power Caravan & Motorhome Kit offers outstanding performance and great value for money. This kit features a Slimline Solar Panel so that even with the narrowest of spaces you can still accomodate our most popular 100W Solar Panel. With the 100 Watt solar power kit you could expect to generate around 28 amps per day during the summer months supplementing the 12V leisure battery power in caravans, motorhomes, boats etc. Important note: The solar panel needs a flat area of 660mm x 1320mm these dimensions include the corner mounts supplied with the kit.